WWest Linn is a desirable southern suburb within the Portland metropolitan area, located between the Willamette and Tualatin rivers. Oregonians move to the hilltop homes here for a breathtaking view of the Cascades and relatively low local taxes. With Portland just 25 minutes away, most residents commute into the city during the week. 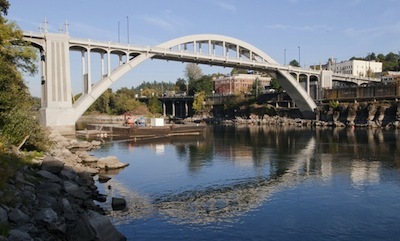 Weekends are spent enjoying waterfront recreation: West Linn sits at the junction of two rivers. On summer evenings, residents enjoy picnic dinners over concerts in the park. Locals also flock to a revitalized downtown area, Historic Willamette, which offers a farmer’s market and, occasionally, dancing in the street. 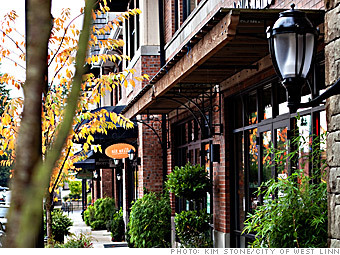 In 2011 West Linn was named a top-ranked Oregon city on the national CNN/Money Magazine ‘Best Places to Live’ List. Citing ‘breathtaking views of the Cascades and relatively low local taxes,’ the Number 69 listing includes a photo of Central Village, and also mentions the Music in the Park concert series, the historic Willamette area, the farmer’s market, and the Street Dance. Sherwood is the only other Oregon city to make the 2011 listing, coming in at Number 100. In 2009 West Linn was included on the ‘Best Places to Live’ list. Robinwood: In the north end of West Linn is Robinwood, bordered by the Willamette River, Mary S. Young Park, Marylhurst University, and the Hidden Springs neighborhood. The Robinwood shopping area, next to Highway 43 (Willamette Drive), offers a variety of retail services. Cedaroak Island and an adjacent boat launch ramp, operated by the West Linn Parks and Recreation Department, are popular recreation spots. Cascade Summit: Up the hill from Willamette is West Linn’s newest residential area, Cascade Summit, featuring mixed-use residential styles from luxury estates to condominiums, town homes, apartments, and assisted living units. Serving this part of the city is the Cascade Summit Town Square, anchored by Safeway. 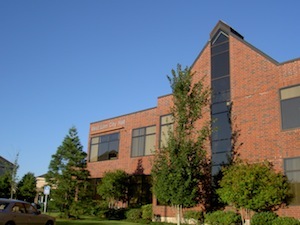 West Linn City Hall occupies a two-story brick office building in the Cascade Summit shopping area. Bolton: Historic Bolton Neighborhood borders the Willamette River. It reaches from the access to West Linn’s second largest employer, West Linn Paper Company, to Mary S. Young Park and up the hill where it borders Camassia and Wilderness Parks. Burnside Park, Maddox Woods, McLean House Park, and West Bridge Park comprise more than 30 acres of woodlands along the river. Hammerle Park and a Tot Lot are developed play areas. A free brochure is available for a 3.3 mile Bolton Walk. Within the Bolton neighborhood is Central Village, a contemporary shopping experience with a “town square” feel. Uniquely designed to fit the needs of the locale, Central Village is anchored by Market of Choice and is steps away from the West Linn Post Office, Public Library, and Chamber of Commerce and provides an eclectic mix of retailers, restaurants, and cafes. Historic Willamette District: At the southwestern end of West Linn is the Historic Willamette District, with its Victorian-style homes and vintage storefronts flanking Willamette Falls Drive. Willamette Park, at the confluence of the Willamette and Tualatin Rivers, hosts the City’s Annual three-day Celebration and the West Linn Old Time Fair in July. Willamette is also home to two shopping centers and three business centers near the 10th Street interchange with Interstate 205. The West Linn-Wilsonville School District covers 42 square miles in the south metropolitan are of Portland, Oregon. The district includes two cities, West Linn and Wilsonville, and a rural area of Clackamas County. The district is a K-12 public school system with approximately 8,400 students. There are nine elementary schools, three middle schools, 3 high schools, and 1 charter school. Approximately 90 percent of all West Linn-Wilsonville graduates go on to two- and four-year colleges.